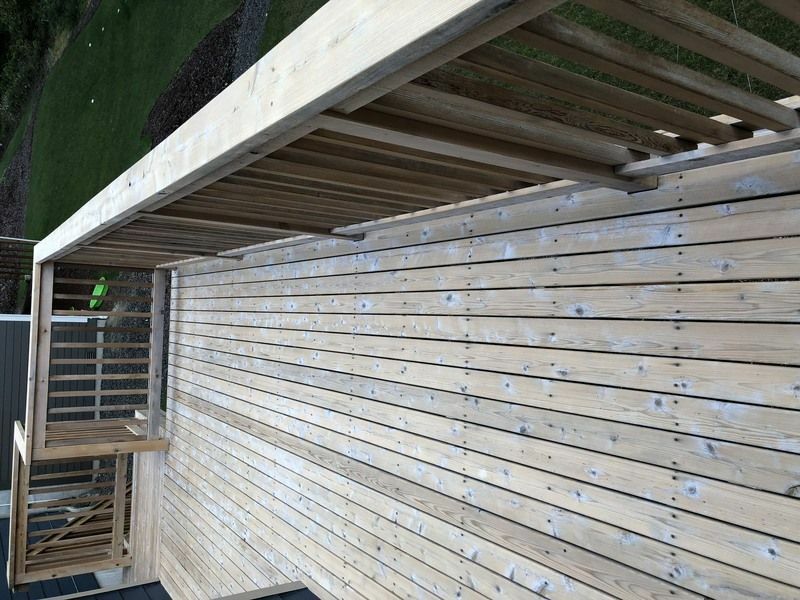 Keeping your wooden deck in good condition is without a doubt crucial to both its appearance and lifespan. 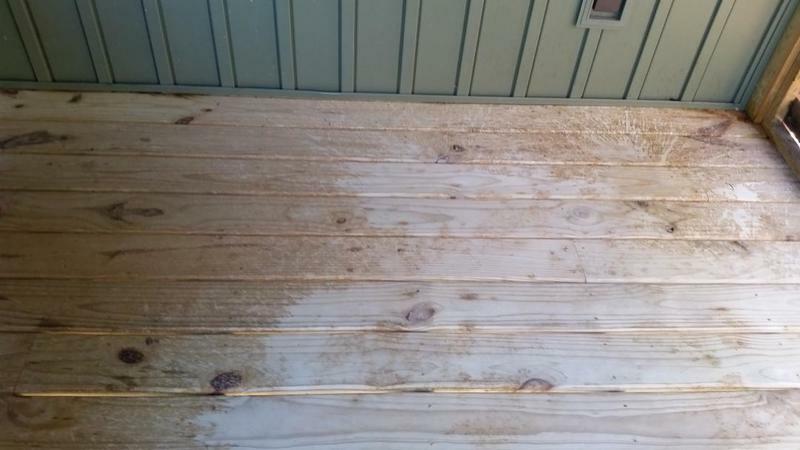 Nothing looks worse and deteriorates more quickly than a neglected deck. Many deck owners have opted to do their own deck maintenance. Restore A Deck cleaner is a specifically designed two-part system that is best used to clean and prep a wood deck prior to resealing it. 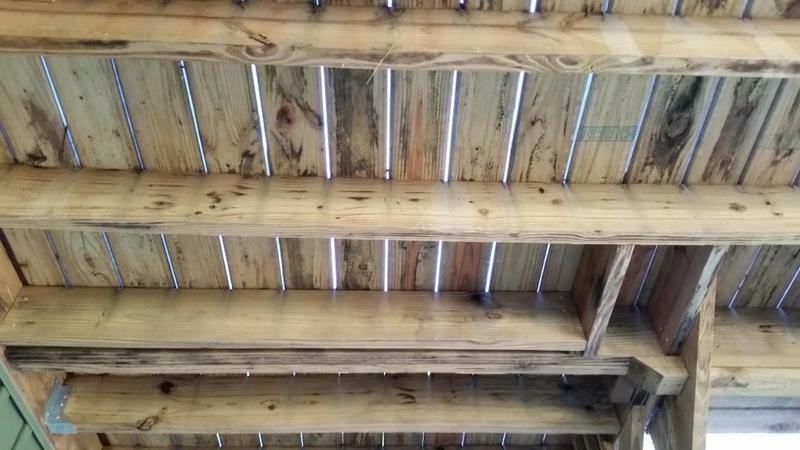 The Restore A Deck cleaner system consists of a wood cleaner that will remove dirt, grime, mold, mildew, and grayed wood fibers. Step 2 of RAD Cleaner is a wood brightener that corrects the pH of the wood and brightens it up prior to applying a wood stain or sealer. To clean a deck using the Restore A Deck system follow these easy step-by-step instructions. 1. Be sure air temperatures or between 45-90 degrees. Remove all furnishings from the deck and the surrounding area. 2. Though Restore A Deck is Eco-Friendly it is still a good idea to cover sensitive plants and shrubbery or pre-wet them with fresh water. Use plastic to cover doors and windows in the surrounding area. 3. Follow the Restore A Deck instructions to mix the Step 1 Cleaner in a clean bucket until all crystals are dissolved and transfer to sprayer to avoid clogging of sprayer inlet tube. 4. 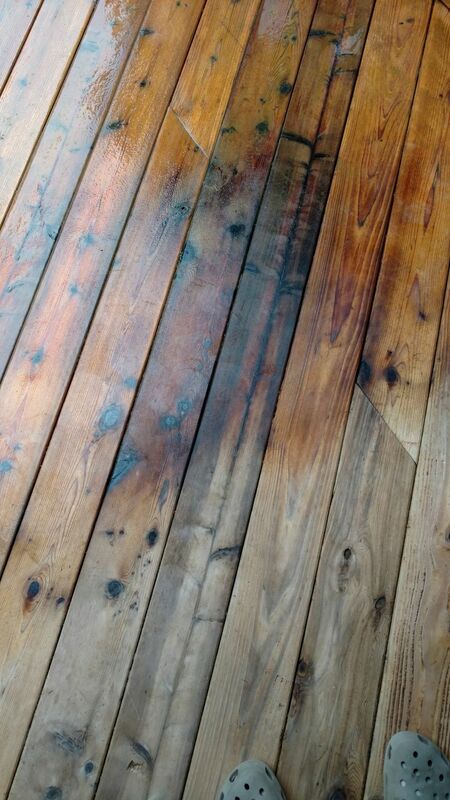 Lightly spray the wood deck with water. Use a pump sprayer or scrub brush to apply RAD Cleaner to the wood. Allow the cleaner to dwell for 5-15 minutes. Keep the deck wet by misting with water during the dwell time. If using a pump sprayer please make sure that no undissolved powder is poured into the sprayer. It will get clogged! 5. Hand scrub or use a pressure wash to remove dirt, grime, and graying from the wood surface. Do not use excessive pressure. Pressure washing at 1500 PSI is much more effective and easier. 6. 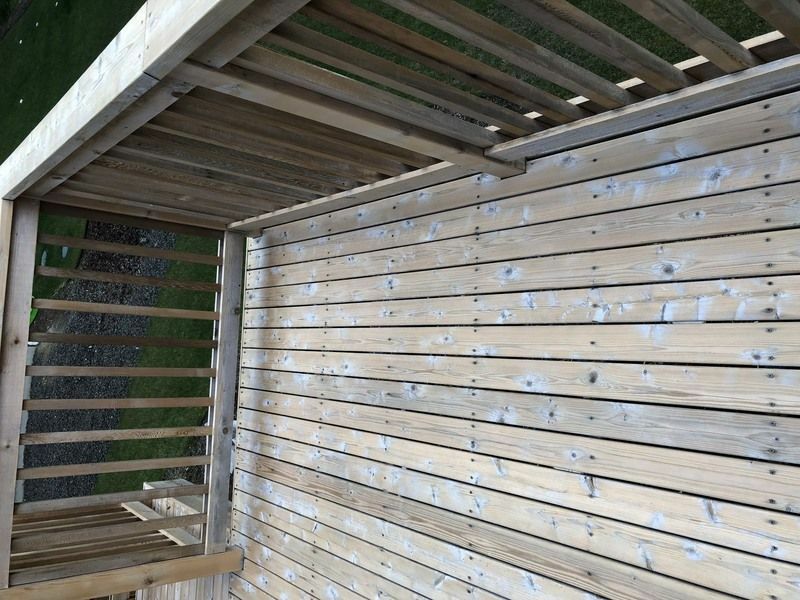 Once cleaned, rinse the wood deck and the surrounding plants, windows, house siding, etc. 7. 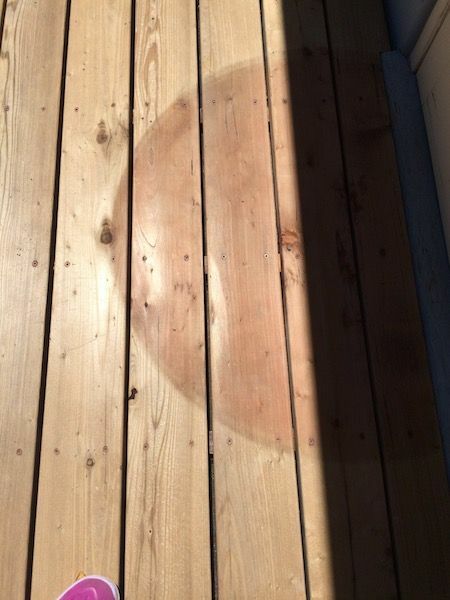 While the deck is still wet from rinsing, apply the Restore A Deck Wood Brightener (Step 2). 8. Blend the RAD Wood Brightener by following the product’s instructions and apply with a pump sprayer. Allow the brightener to dwell for 10 minutes then rinse off. No need to having scrub or pressure wash the RAD Brightener. Make sure to rinse the RAD Brightener thoroughly for 20 minutes until all soap suds are removed after the 10 minutes dwell time. Note that the RAD cleaner is not intended for removing old deck stains or sealers. Please see Restore A Deck Stain Stripper when dealing with existing stains. If you have any specific questions about your project or just need some help, please ask below! I am going to be cleaning and brightening a redwood deck, half new and half old wood. But the decking is on top of a painted frame. Will the cleaner or brightened affect the paint below? You say it’s good to use a pressure washer. But I can’t find instructions with exact details. Specifically, My pressure washer has an intake where cleaner can feed directly into the spray. Is this what we should do? Is there a different ratio or water to powder to use when doing this? Thx. The RAD Cleaner cannot be injected through a pressure washer. You will need to apply with a pump sprayer and then pressure wash off. 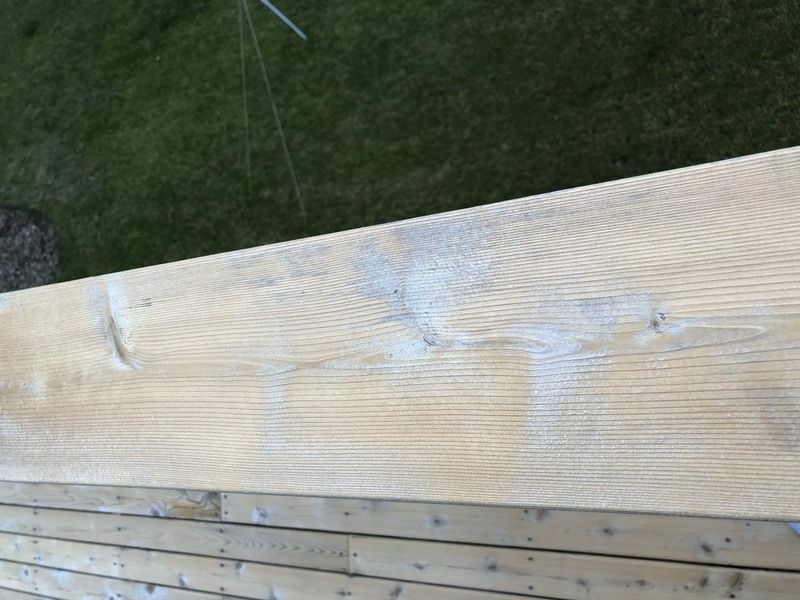 After cleaning and brightening my cedar deck with Restore-A-Deck, which by the way looks like new and smells like cedar again, I noticed two quarter size spots that are sticky and maybe adhesive. What would you recommend to get rid of them? Could I use a product like Oops? Thanks for your help! Ken, did you use the Brightener after the cleaner as well? Yes, I did. You have to use both, as I understand, as the brightener neutralizes the cleaner. No idea what that is. Try to hand sand it off. I have two more questions. First, I cleaned and brightened my deck three days ago and it has rained almost continuously since then. My deck is enclosed so no rain has gotten on it, however, it is very humid. 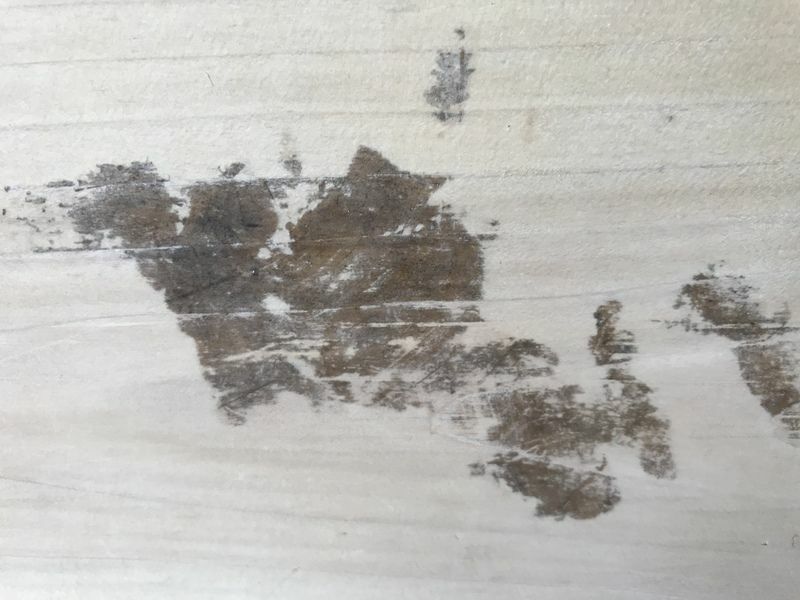 Is it ok to stain it with TWP or should I wait for the humidity to drop? Secondly, how long after I stain my deck with TWP does the temperature need to be above 45 degrees? Thanks again for all your help!!! Humidity is not an issue. Stay above the 45 for at least 24 hours. If you rinse well right away you should be okay. Letting it dry can create an issue with cleanup and or discoloration. After a contractor applied 1 RAD kit to my deck there is still significant gray/silver fuzz that needs to be removed. Can another kit be applied back to back to remove the remaining gray/silver fuzz from the wood? Yes, you can go over this again with the kit to remove the rest of the gray. My deck is less than 1000 sqft. should 1 application have done it? They didn't use a power washer, just brushes. You will need a pressure washer and the coverage averages to about 750 per kit but can vary between 600-1000. Hello, we are prepping a cedar deck that previously had TWP 1515. We used the stripper, then brightener on a weather-protected area under the porch because the previous stain was very thick. The stain was removed pretty well, but there are 2 boards that are significantly darker (see photos). They had a lighter color when they were dry yesterday, but today it is raining and I am concerned that the color when wet simulates the color we will see after we re-stain with TWP 1515. Do you know the reason why the boards are darker? Is there anything we can do to lighten them? Thanks. it looks like you missed the spot with the brightener. Try to brighten all the wood again but really saturate the brightener well in the one area. Let it dry into the wood without rinsing. Thanks, for the quick response. Can I just apply the brightener solution with a rag or a paint brush or roller, instead of a sprayer? No, it needs to be sprayed. Use a pump sprayer. What if you splash this cleaner or brightener in vinyl siding? Does it stain this siding? No but it may clean the vinyl if it is dirty. I used restore 1o times I have some algae. What should use to clean? Can use Jomax mildew cleaner? I am not understanding your issue. Can you post a picture? What should my deck look like after cleaning and brightening? What if there are some white parts (like chalk)? Please post a picture. It might be oxidation of the wood cells that might not have been fully removed. Does it show when wet with water or just when wood is dry? Just when the wood is dry. Reading more, I think these are wood fuzzies and we will need to buff. It will not show when stained if it does not show when wet. As soon as the rain stops. Planning on using you system this fall to clean my deck. 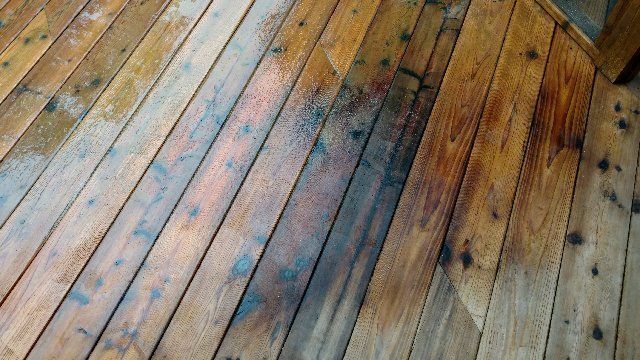 Was told pressure washing would damage wood but noticed you said a PW could be used. Although much more work, is it better to scrub by hand to avoid tearing up wood surface? Also, when misting to keep deck wet during wait period, should the solution or plain water be used? No issues with pressure washing as long as you use it with the prep products. the prep products allow you to "back off" on the pressure so you do not damage the wood. The instructions above say to wait 1-2 days before applying stain ? I thought the system allowed for it all to be done in one day? If using the RAD Wood stain you can do it the same day. If using a different brand of stain, you will need a couple days of drying. I used RAD 3-step process this year. i want to stain again next y ear. Should I use the cleaner or the stripper? What is the wood brightener for? Neutralizes the deck cleaner leaving the wood at a natural pH balance of 7 and brightens the wood. So we just stained our deck with the TWP. Do we need to strip this in 2 years and reapply or clean brighten and restain? Clean and brighten for the reapplication prep. Cleaner not dissolving. I am using the 1 cup to 1 gallon of cleaner, making about 2 gallons per batch. At least half the cleaner not dissolving and plugging up pump sprayer. Poured into separate tub and mixing by hand, but still cannot get it to dissolve. Went ahead and cleaned with what did dissolve and brushed like crazy, and then used brighter, but something left white residue on boards that does not wash off. Any thoughts on how to correct or how much mixing/time is needed to dissolve granules? When mixing the cleaner it is best to mix in a separate bucket first and not directly in the sprayer. It never 100% dissolves so mix first and then pour into the sprayer making sure that last inch or two of water with the undissolved powder does not get into the sprayer. About 90% or more dissolves properly. 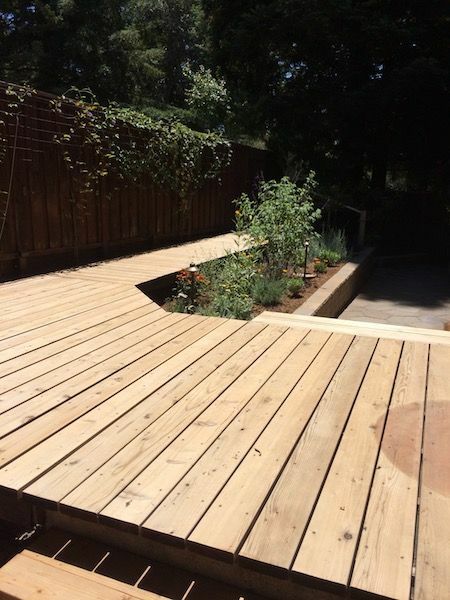 We have used RAD cleaner & brightener on our 2-3 year old, never before stained redwood walkway. There is an area by the door that has been covered with a doormat that has protected the wood, you can see the semi-circle where it has not faded from the sun. Suggestions on evening that out before we apply AC semi-solid Sierra stain? Also, a few boards have a small amount of furring, not sure if from the pressure washer. If we spot sand those areas do we need to do more than a quick rinse? Sorry, but it will not be possible to "even" out where the rug was and have it match the rest of the wood. If you need to sand a few areas, lightly sand by hand and not a power tool. Spot sanding with a power tool could result in uneven application of the stain. Rinse all with water when done. Okay, it's been over 24 hours since yesterday and since I haven't heard back from you either here or on telephone messages. so we redid some sections holding the pressure washer about 6 inches from the wood. It's working better, now I have a question about brightener. In one post you tell someone to use it and then leave the brightener on. On the package it says to rinse it off after 10 minutes. Which is correct? Also, can I wait and do the brighten, say 24 hours after cleaning since I'm doing the back of a panel and it will get oversprayed with cleaner? I kinda of need to know now... Thanks! I am sorry but we did not see this messages yesterday. The main issue is you have a lot of oxidation of the wood to remove and you were not using enough pressure for the first time. Glad it is working better for your after the second pass. As for the brightener. Typically we suggest that you brighten right away to reduce the chance of fuzzies but if you have to keep cleaning the next day, just brighten all when done. I'm a little discouraged. My husband and I spent about 4 hours doing cleaning/brightening yesterday on 11 month old new cedar. We were only able to complete two 6'x6' areas (vertical panels consisting of solid planks with 2 ft. of privacy fence above). We scrubbed with deck brushes and used a 1600 psi pressure washer with the fan-style wand at the 12- 18" distance (most of the time.) We kept going back over it even after the pressure wash, you could scrape off a gummy goo with a fingernail. Since it was getting dark we did the brightener and hoped for the best. In the sun today, the wood is still covered with grey spots. Not sure what we did wrong but I assume we have to start over. Any tips or advice on what to do next, much appreciated. I still have a 16' x 15' deck and some stairs and railing and underskirting after I do the privacy panels. Thank! Would your CLEANER work on my Grandmothers old diningroom table and chairs to remove the old built-up grime? Or would you not recommend that? No, this would not work. My 2-year old deck looks wonderful and like new after applying the cleaner and brightener. Thank you for a great product! The one board I've replaced does not seem to absorb water even after scrubbing with cleaner and brightener. Should it be left unstained and for how long while I stain the rest of the deck tomorrow? Kindly advise and thank you in advance!! What happens if it starts to rain during the cleaning/brightening process? Will you have to start over or can you continue? Is it best to wait for a completely dry day? Rain will not harm the prep. Hello: cedar porch built/stained 6 years ago, no maintenance since in central MN. I want to clean up to remove graying and restain. Do I need to completely strip all the weathered stain off, then apply cleaner and brightener, or could I just clean and/or brighten before staining? Strip and brighten for the prep is correct way. I’ve cleaned and brightened. What would happen to my project if I don’t stain. I know it’s recommended, but what will happen if I don’t? Will my wood turn grey again this year? Next? it will oxidize and gray within months. pressure treated deck in good shape but algae is still visible, at least the color, after using Restor #1. Can I just go forward with the #2 then stain in two days or do I need to do more with the green tint? Go ahead and brighten the wood. Leave the brightener on and do not rinse. The "green" you are seeing is internal and the brightener should help as it dries into the wood. then I can stain in 48 hrs. Correct? Redo all with the RAD Cleaner/Brightener kits while using the pressure washer to fix this. FYI, a cleaner or prep product is not the fault or cause of this. It is the heavy oxidation of the wood or needed stripping of the wood that creates the fuzzies. Best to lightly buff off this to fix with a sanding pad and buffer. It will definitely help to prep the top side but you did create an issue with the bleach-based cleaner on the floors that shows the splatter marks. It should even it out. For mildew on the bottom, it will clean it but it will be a messy job since you are washing below. You will need a pressure washer with the RAD prep products. thanks for such a prompt reply...I do have a pressure washer-and I really hope your product can help me...the product I used is sold by sherwin williams as '30 second painter's prep." I have wasted a lot of time and money so far...Hope your product works as I have seen in the reviews! What's the consequence of leaving the cleaner on for longer than 15 minutes? I might hire someone to do my pressure washing and I'm not sure we'll be coordinated enough for me to get cleaner down and do any necessary scrubbing and then someone else to pressure wash a given section within 15 minutes. It will dry if you wait too long. It only takes a few minutes to apply it with a pump sprayer. Thanks for the reply. Is there any reason I couldn't apply the cleaner, scrub, and rinse with a regular hose myself then have it pressure washed a few days later? Or is it imperative to have it pressure washed at the time I use the cleaner? You always use the cleaner with the pressure washing so the pressure washing does not damage the wood by just washing with water only.